1. 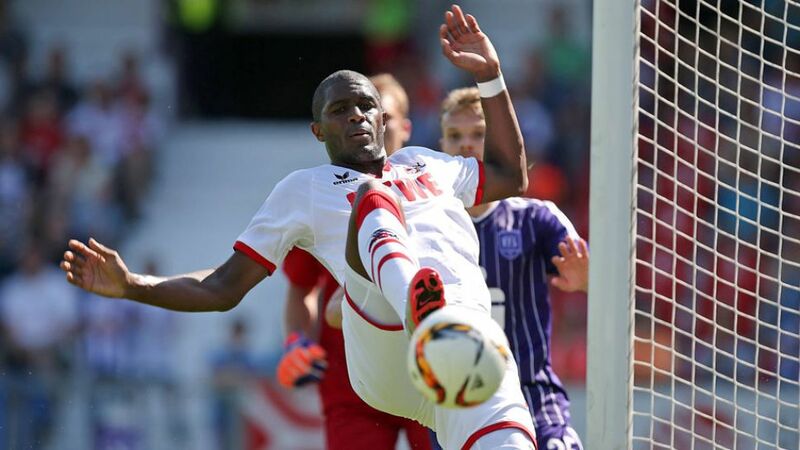 FC Köln's standout signing this summer is Anthony Modeste, who has arrived in the Rhineland from fellow Bundesliga side TSG 1899 Hoffenheim. Modeste divided his time at Hoffenheim between the bench and the starting XI, coming on ten times and being substituted 15 last season. In total, he played a modest 1,296 minutes of Hoffenheim's 2014/15 campaign, but that is about to change in Cologne. The Frenchman wants a to be regular starter and Köln need a reliable striker, so in theory it's a marriage made in heaven. Following the departure of Anthony Ujah to SV Werder Bremen, a vacuum needs filling for the Billy Goats, and Modeste has been brought in to do just that. He does have competition to keep him on his toes, though, with Simon Zoller and Philipp Hosiner both looking sharp during pre-season. At Hoffenheim, Modeste often played as a wide forward, scoring five of his seven goals away from home and finishing as their second-highest scorer behind Kevin Volland. For Köln, however, his speed and athleticism should breathe life into an attack that may look to be somewhat more enterprising this term after scoring an average of just one goal a game last season.